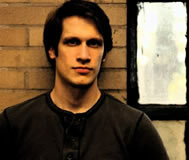 After pumping gas for nine years to put himself through college, Dan Krokos, now twenty-six, became a full-time writer. He enjoys watching TV, playing MMORPGs, and drinking coffee. Follow his antics on twitter (@DanKrokos). CLICK HERE FOR MORE BOOKS BY DAN KROKOS. The Planet Thieves — (2013-2014) Ages 8-12. Publisher: The Planet Thieves is the first thrilling installment of a new middle-grade series by Dan Krokos. Two weeks ago, thirteen-year-old Mason Stark and seventeen of his fellow cadets from the Academy for Earth Space Command boarded the SS Egypt. The trip was supposed to be a short routine voyage to log their required spacetime for summer quarter. But routine goes out the airlock when they’re attacked by the Tremist, an alien race who have been at war with humanity for the last sixty years. With the captain and crew dead, injured, or taken prisoner, Mason and the cadets are all that’s left to warn the ESC. And soon they find out exactly why the Tremist chose this ship to attack: the Egypt is carrying a weapon that could change the war forever. Now Mason will have to lead the cadets in a daring assault to take back the ship, rescue the survivors, and recover the weapon. Before there isn’t a war left to fight. 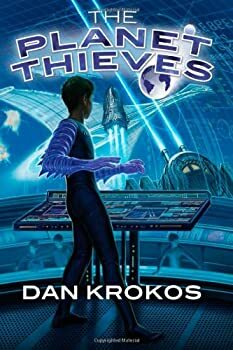 The Planet Thieves, by Dan Krokos, is the first in a new children's science fiction series set in a far future during a half-century-old interplanetary war between humanity and a mysterious race known as the Tremist. Thirteen-year-old Mason Stark, his best friend Merrin, and his sometime rival Tom Renner, along with another dozen or so cadets, are on board the warship SS Egypt for what is supposed to be a routine mission when they are suddenly attacked by a Tremist ship. Soon, Mason and his fellow cadets are on their own, fighting to regain control of their ship, prevent the Tremist from getting hold of a supersecret weapon, and save the Earth. False — (2012-2014) Ages 12 – 18 | Grade Level: 7 – 17. Miranda wakes up alone on a park bench with no memory. In her panic, she releases a mysterious energy that incites pure terror in everyone around her. Except Peter, a boy who isn”t at all surprised by Miranda”s shocking ability. Left with no choice but to trust this stranger, Miranda discovers she was trained to be a weapon and is part of an elite force of genetically-altered teens who possess flawless combat skills and powers strong enough to destroy a city. But adjusting to her old life isn”t easy—especially with Noah, the boyfriend she can”t remember loving. Then Miranda uncovers a dark truth that sets her team on the run. Suddenly her past doesn”t seem to matter…when there may not be a future. Dan Krokos” debut is a tour-de-force of non-stop action that will leave readers begging for the next book in this bold and powerful new series.